What are Office 365 Web Apps? 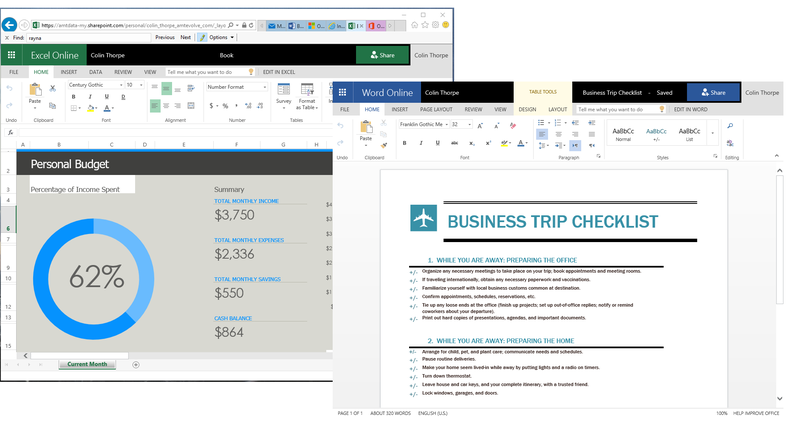 BlogHome » News » News » 60 Second Briefing – What are Office 365 Web Apps? With Office Web Apps, you can go to a document in your web browser that is stored on OneDrive. When you click on it, you can select ‘Open in Word Online’ (or Excel Online, etc). The document will be opened by your web browser, and you can make edits there and then. This means that you can make edits to documents whenever you want – on your phone (fiddly, but it does work! ), iPad, partner’s laptop. You can open a PowerPoint presentation on your client’s PC, or do some work on the train without having to use memory sticks.A great feature is that, if somebody else opens the document at the same time, the Web App will show you what part of the document they are working on, but let you carry on editing the rest of it! previous post: 60 Second Briefing – What is OneDrive for Business?